The weather was unbeatable. Sunny and perfect for running in a short sleeved tee. 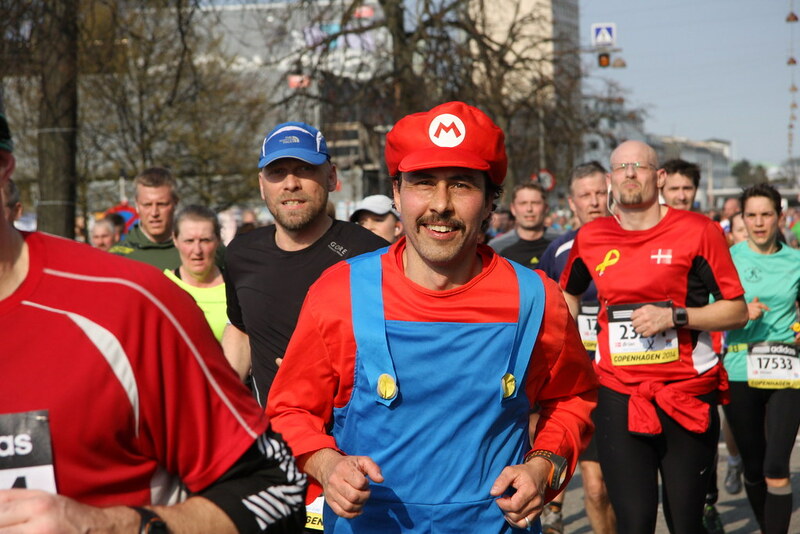 Mario For Real! Quite a few runners made the runners party even more fun by dressing out. “Go, Eli!” The name on the start number: Great idea, motivating for the runners to be cheered on with their name. 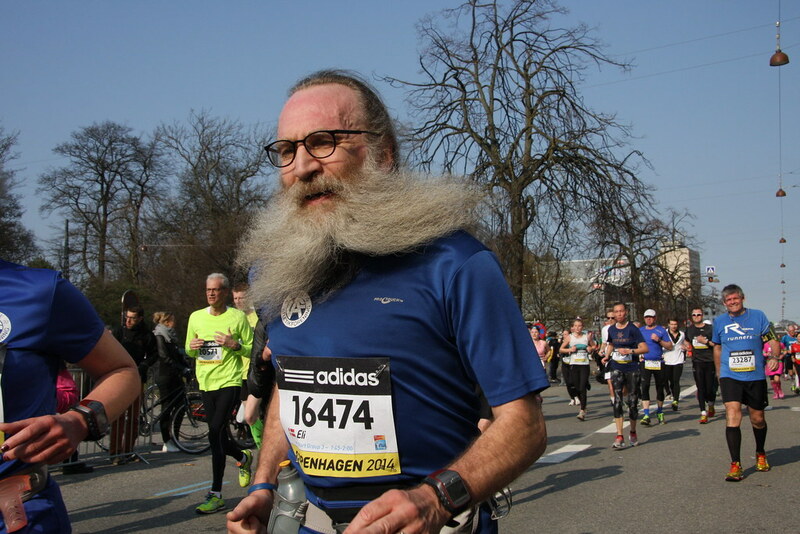 … a runner with lovely excess energy. Concentration. It’s all about getting into that runner’s rhythm. 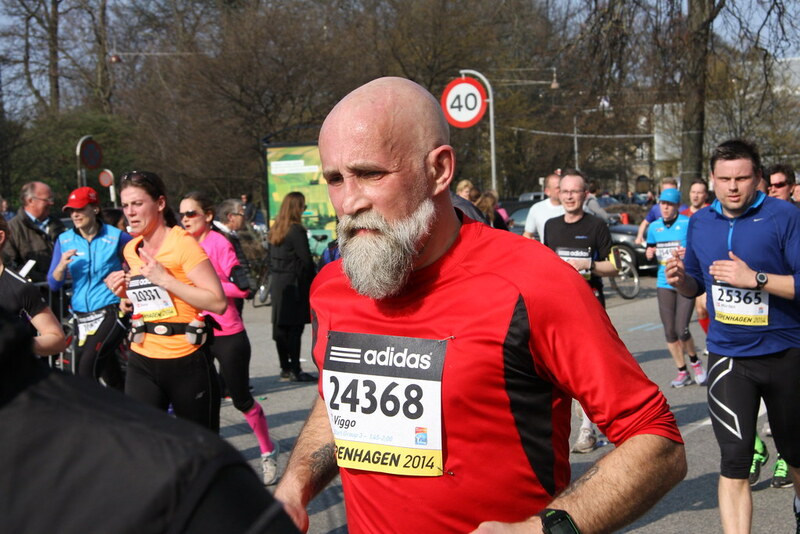 Starting with the finish: I made it through 21.195 km – actually at a better pace than I had expected – 2:04:22. Getting ready: Placing my start number on my stomach – and soon handing in the yellow bag to the baggage storage. It took me a 20 minute walk before I passed the start line and was able to begin my personal race. 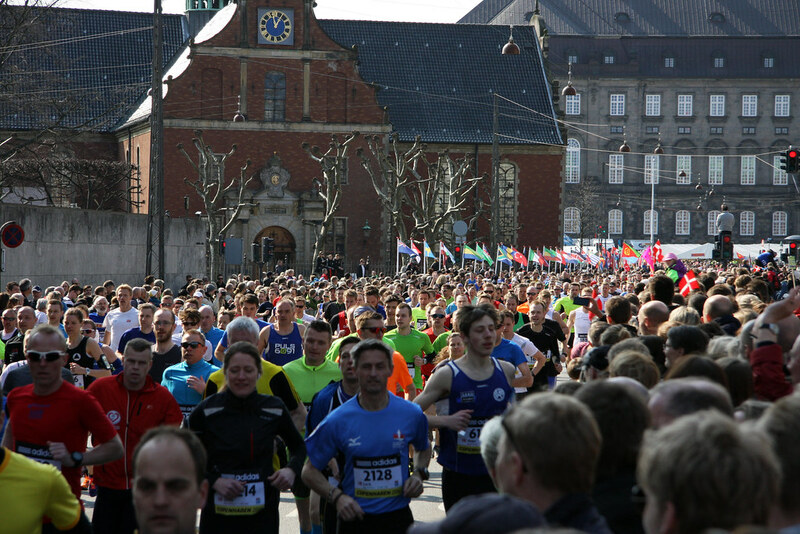 Impressively, according to 30.000 co-runners doing the same. Thank heavens! 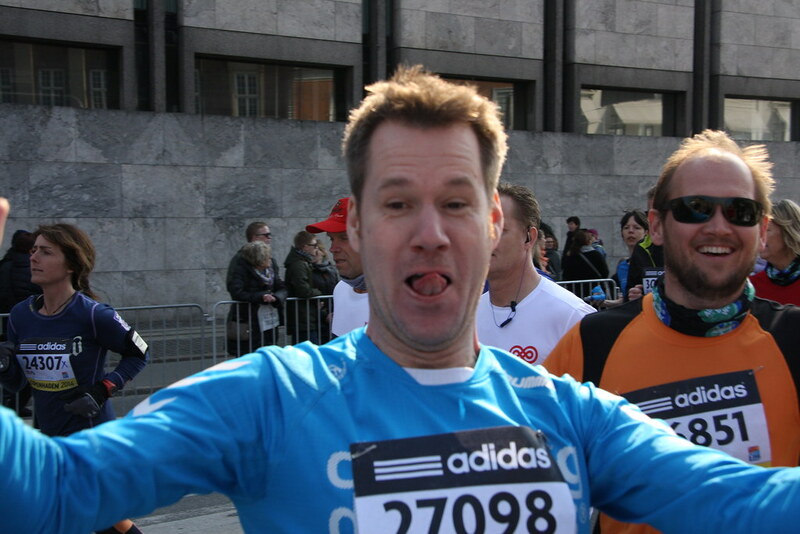 Stocking up on water and energy drinks after 9,1 km – I’m thinking: OMG – I’m not even half way through. Have just passed the finish line. Using my last energy on smiling! Holy…! Realizing I actually made it. My new friend Nelli and I celebrating with a light beer. Cheers! Ps. 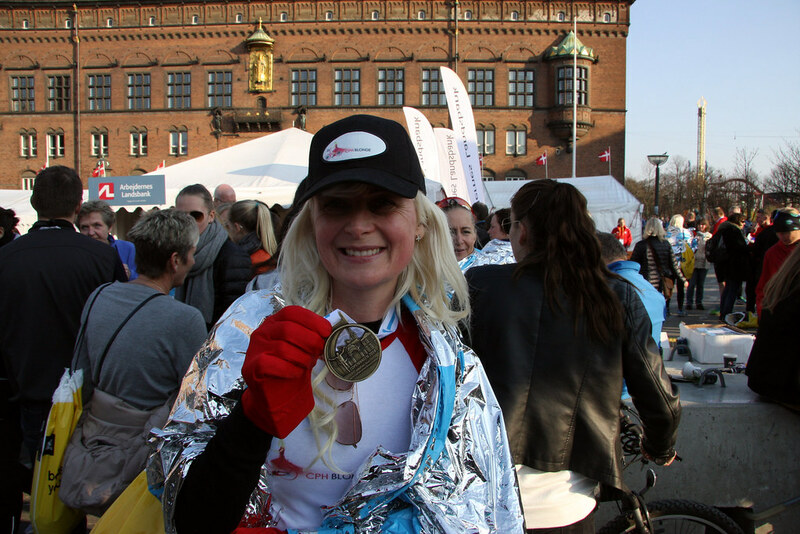 Thanks for your support <3 Your cheering on both my Twitter and Facebook made it a whole lot easier to complete this half marathon – my first ever. You’re the best! !